Thanks for the advice. I am going to send a st. Michael card to him soon. I know the prison will let that in. I am not sure if I dust it with powder if the prison will let it in but I could try. Or send one with and one without in case the prison sends the powdered card back. I have done the freezer spell before for myself its been years but I will do that today for him. I don't think my fiance will give me the names as he is really scared and told me he won't be able to call or write me for a while until the situation calms down. But, if I put gang or enemies could I still do the binding poppet spell? What is a mirrored box? You could also put a little St. Michael or FOP oil around the edges of the card. Would be less conspicuous than powder. Mirror boxes are a type of reversing work - to throw the evil (especially evil work) back at someone - and is one way among many to uncross, reverse a jinx, or reverse a curse. As for what combination of work would be best in your situation, consider a reading with a worker from AIRR, in addition to the advice already posted here. (Since your fiancee may not be facing magical attack, but a more physical one, your Reader may recommend a different approach). Working with St Michael sounds great to me, espeically if you and your fiancee have catholic backgrounds. I pray your fiancee remains safe. Thanks for all the advice. I'm going to do the freezer spell today since you don't need a lot of supplies for it. I still have my novena to St. Michael lit and plan on getting more Novena candles today. The candle keeps going out though. I've had to relite it like 6 or 7 times in the past three days. I hope that is not a bad sign. Or is it just coincidence? Although I don't really believe in coincidences. Any insight? I plan on getting the Fiery Wall of protection spell kit. My question is about the gravestone. I posted on the topic matter and said It is not possible for me to get to a grave site. I should rephrase I can get to a grave site to throw the remnants but where I live all the graveyards are on the other side of where I live and all are about 30 minutes away from me driving distance. I don't have a car and if I walk it would take me over an hour to get there. On top of that it is hard for me to go anywhere at the moment because this situation has me freaking out all the time. I have been having serious panic attacks every single day usually multiple times a day. I looked around my neighborhood and did find a crossroads I could put the remnants and it is close enough for me to walk to. Also, I am worried about desecrating someone's grave with the remnants. It seems disrespectful to me to do that. Although if it is absolutely necessary I will try to find a way to get there and do it. Harleyrose25: If something seems disrespectful to you, personally, then you should NOT be doing the work yourself. Have you thought about, perhaps, finding an experienced worker to take on your case and do this important work for you? Thank you Joseph for your reply. I found another variation that calls for a crossroads or a grave. So I'm going to go with that variation. Since I know there is a crossroads near where I live that I can walk to. I have a meeting with a reader in June so I will also discuss the issue with her as well. In the meantime I am going to have a vigil candle be lit for him and get the work going while I'm waiting for the supplies to do the spell and the St. Michael card to send to him. I still have the St. Michael novena lit. I ended up lighting another one since the first one kept going out. It worried me as that has never happened to me before. So, I got a new one and this one seems to be working fine. I guess the other one was a dud and it was not from Lucky Mojo I got it at the grocery store. So I am also assuming it is not fixed but I wanted to get something going right away. I am also going to order a novena from lucky mojo that is fixed. I would fix it myself but not sure what oils or herbs to use for St. Michael. Hello everyone. I am new to Hoodoo and would appreciate your suggestions. I have been stalked by a crazy woman (stranger) for over ten years. She is a lesbian obsessed with me - I am heterosexual and have no interest in this person. I've tried all the usual methods to rectify the situation - filing police reports, moving, - all to no avail. I would like this person out of my life permanently and as quickly as possible. Also, my apt. has been broken into repeatedly and personal items were stolen. All my childhood pictures were taken and I am heartbroken over this. I would also like all my pictures returned. What ritual do you suggest? Fiery wall of protection? Which ritual will return my photos to me? Thank you, everyone in advance for your help. Fiery Wall of Protection to keep her away from you. Compelling to get her to return the pictures. Court Case if you decide to take legal action against her. You probably should get some legal advice about a restraining order and possibly a search warrant. You might also be able to sue this woman for the distress she has caused you. Thanks for the reply. I hadn't thought about the commanding oil, but I think that is a good option. I am going to pursue litigation - I just have to find the right attorney. Re: a restraining order - in New York, where I live, you can't file a restraining order against a stranger unless you get them arrested first. The police say I don't have enough evidence to get her arrested. I can't prove that she is responsible for the break - ins (although - who else would be interested in pictures of me - most burglars steal tvs.) Thank you again for your suggestions. I'm so happy to have just joined this forum. I've been dealing with a group of people stalking and harassing me in person and online. This has been happening for almost 7 years. I know a few of the troublemakers, but through the years they've gotten others i do not know personally to particpate in my harassment. The originally bagan because of anger and revenge from another person. Now I feel they do it for fun. They've invaded my privacy, hacked into my emails, followed me in public, became agressive on the roadway, threatened my life, ridiculed me to my face and they've tried to interfere in personal areas of my life. Getting help from the police is out of the question. I've tried many times in the past. These people always keep everything under the radar. I would love to finally br free of this negativity in my life. I want my privacy and the life I had before this nightmare began. I've practiced some hoodoo in the past. I've also tried to use hoodoo to remove these blocks from my life, never harming anyone, because I never would. It only seemed to work a little bit and temporarily. Is there anymore advise anyone can give me to try and remove these road stumps in my life. This really brings a lot of unwanted negative energy around me that I do not need. Welcome to the Forums and I'm sorry to hear about such an unpleasant set of circumstances in your life. Blessings and best of luck through this. Thank you for the info and your well needed advise regarding my problem. I will look into the readers. I am a bit short on cash right now, but i'll surely look into getting rootwork done as soon as I can, so I can get some privacy and peace back into my life. I had a bad break up with an ex in March. I have worked on him and I did a cut and clear on myself in June. I have not contacted or responded to this person since the seventh of May. He has continued to contact me. I have blocked his email but he manages to get on various social networks and contact me. He supposedly has a baby on the way with another lady but he is still continuing to bother me, I have not done any work concerning him in months. Last night I got an instant Reading with Mr. Ali because I had an incident of flies about three weeks ago and reading in the forums was curious about it (being that I had lived here for five years). He told me that I had upset a male ancestor of his, I had advised him that I had done a Fiery Wall of Protection candle after reading about the flies. He told me to just ignore him and keep up protection work.. Right as I was hanging up the phone, I got a call from an odd number. It was another random person who he had given my number to. Do I ignore it or is there something more I need to do? So, a few months ago, my friend started dating a much younger woman. She is a college student who had interviewed him for a school project, and after that started pursuing him. At first she seemed like a really fun person, very intelligent and loving, but over time she started acting strangely. She started calling him in the middle of the night to ask if he was thinking of other women, throwing screaming tantrums over small things, asking for large sums of money without explanation and generally acting very unstable. Last week he tried to break up with her amicably, by telling her that they were both unhappy in the relationship and he thought it would be a healthier if they split up. About an hour after she left his house, I took my friend out to a casual lunch with some friends, thinking it would cheer him up. When we got back from the restaurant, his voice mail was full of messages from this gf yelling and screaming about how she was watching him and had seen him out with other women. Since that day he has been getting calls day and night from this girl. She threatens to vandalize his property, get him fired from his job, kill his pets, etc unless he gets back together with her. Other times she cries and threatens to kill herself unless he calls back. He also gets calls from her friends and from men he as never met threatening him and saying that "he will pay for hurting her"
His parents, his coworkers, and I have also found threatening notes and letters attached to our doors or our cars. At first I was just feeling sad about it because this girl seemed to be mentally ill, but now I'm thinking she might also be dangerous. I'd like to do some spell work but I'm not sure where to start. Thank you Saint Jude, Saint Expedite, and Our Lady of Loreto for your loving help and guidance! It sounds like your dealing with one sick puppy here. I feel the first thing your friend needs to do is protect himself physically and spiritually and tie up this woman from harming all connected with him. I think a belt and braces approach should be taken, firstly put her in the freezer to freeze her out and put her behaviour on ice and construct a mirror box so that anything she sends out reflects back to her, but I wouldn't fill it with nasty items as this woman is obviously a damaged soul, so I would put Althea leaves in the box to reflect back healing, Bay leaf to ease this womans mind and rue to protect your friend and this woman from hurting herself or your friend it also averts the evil eye. You want this person out of your friends life so I would bind the box in black thread and seal it with wax and throw it in a fast flowing river so that this woman carried away by water as water is for emotions and healing and petition St. Dymphna to ease this womans mental health problems. Obviously if this does not work i'd go in for a different approach against this woman as you are dealing with someone who is sick in the mind i'd try the gentle touch at first, I wouldn't burn candles on this woman as it may fuel the fire and exacerbate her behaviour. Fiery Wall of Protection for your friend -- in fact, do the full-bore Fiery Wall of Protection Spell on his behalf. A St. Dymphna candle, or maybe a series of them, for the ex-girlfriend -- you may want to put her in a mirror box, too, or in the freezer. The police were involved, the neighbour has been given an eviction notice. Problem is no one was arrested and I still have to live in the same building with him for the next 30 days. the oils I have on hand right now are hot foot, protection, fast luck, all saints and commanding. I also carry a Saint Michael medallion on my keychain. I have a lot of various herbs as well, though not sure if any of them are for protection. Can someone give me a suggestion on a protection spell i can work for now with this? it takes two to 3 weeks for an order from LM to come to me so I don't think I will have time to put in an order. Since the neighbor is already having to move I, personally, would concentrate on the protection aspect. Dress a white candle with Protection Oil and All Saints Oil. Light the candle and pass the medallion over (carefully and well above the flame) the burning candle and let your petition for protection be heard. Lay your Saint Michael medallion in front of the candle, for the duration of the burn. Carry the medallion (which can be anointed with a small bit of the oils that you have used on the candle, as well) with you, especially when you are coming or going from your home, or have the possibility to come in contact with the neighbor in question. If you feel that they will not move when they should, or mean to stall it, then go ahead and add some Hot Foot work back into the mix. The Commanding Oil and Hot Foot Oil can be used in combination with each other too, if need be. sweet. i will give that a go. Let us know how it goes. It sounds like a possible volatile situation. best of luck to you. Just think, after the 30 days; no more crap! Thank you both so much for the advice. I keep a small devotional altar to Saint Dymphna, as she has been a great when a family member was struggling with mental illness. I will petition her on this young woman's behalf. I hadn't thought of doing a mirror box spell, but I really like your suggestions Miss Kerry for using one with a healing focus. This is very detailed and helpful. Also, it is good to know that a freezer spell would be more appropriate than setting lights. Thanks again. So I thought I would post an update. I tried the "healing" mirror box spell, and have been praying to Saint Dymphna. For the first week, not much changed. She stopped threatening friends and family, but kept making harassing calls and leaving letters. The second week she stopped acting so angry, and started getting flirtatious and sending flowers, trying to act sweet and saying she wanted to get back together with him. He kept telling her that he didn't think it was a good idea to date anymore, but that if she was willing to get counseling, he would be supportive and wanted to remain friends with her. The third week she went to see a counselor and stopped calling so much. Apparently the counselor told her to try meditation, among other things. She got involved in a meditation/yoga group. Then she was quiet and didn't call for awhile. Yesterday the ex called my friend to tell him that she found meditation helpful and had joined a religious community to further her studies. Also, she said she didn't need to get back together with him anymore. She said she had found her true calling, and she didn't have time for dating. This girl is all extremes! I have to laugh about it. This wasn't exactly the outcome we had hoped for, but at least she has found a new hobby to occupy her time and is not hurting anybody. I hope this commune is genuinely helpful to her, and that she takes some time out to care for herself now that her attention is no longer focused on intimidating/controlling other people. So my friend is very depressed about the situation. He is worried that he attracts unhealthy relationships and people. He has had two books published and worked on a successful screenplay. He is starting to become a little bit famous in certain circles, and he is worried that this is attracting people who want to get close to him for the wrong reasons. I suggested that maybe he take some more time off from dating - at least a couple of weeks. That way he can make sure his ex is no longer bothering him. After that, maybe burn a Chuparosa candle and ask for an honest love relationship. Was this good advice? pinemarten, you gave your friend excellent advice. It is true that fame attracts a fair amount of people that are mentally unbalanced, so he should keep up the protection work. Your situation sounds upsetting, but you do not indicate an interest in nor have you asked us any questions about African-American hoodoo folk magic for solving the problem, and i am not sure i would recommend it as a first line of defense, given that you state that this person is a physical stalker. If you think he is bullying or stalking you in a physical sense by accessing your electronics, then get a new phone number and a new isp and phone service and use new passwords. Then stop seeing this person. I am a victim of group stalking. I dated this guy just recently who knew when I would leave the house and I would not tell him I was going anywhere. He also interfeared with possible job offers that I went to and I believe he and the group he is with has cameras in my home. He is on my phone pushing buttons as well when I have conversations...He has said crazy things to me like he use to be in organized crime. Anyways, he is very intimidating and when I tell people these things, they think that I am crazy when I know I am not. He has people following me all around town, he has told people in grocery stores to watch me, and I believe he has people in the police department that he knows doing the same thing ect what type of spell do you suggest I do? How very frustrating and scary this must all be for you. I am going to recommend that you write everything down in a small journal. Everything that the group has done to you and if you have dates write it down. Make sure to put in the journal what you think the motivation is of the people stalking you. Make sure to write down all their names. Once you have that done. Put one drop of all three oil on your hands: Cour Case (to find the right person to hear you and not judge you negatively), Protection Oil ( to protect you from the stalkers), & Cut and Clar (to cut away the ties these people have to you and clear your mind of their influence.). Next hold the journal between your hands while praying the 23rd Psalm. It is best to get the fear they are inflicting out on the paper so it does not have time to fester in your thoughts. Plus it is a good record for those who will help you deal with this trouble and bring them to justice. I have heard it is possible to steal someone's energy and their luck. Based on that, I need advice on a situation I've noticed developing over the past few months. It involves an ex best friend who turned on a relative of mine. Then they managed to poison the entire group of friends against my relative - who was devastated by the betrayal. Even though they are now hundreds of miles apart, my relative has had increasing bad luck socially, while the ex friend has become increasing popular. (When they were friends my relative was quite popular and this person was the awkward one ). Here is the creepy part, the ex best friend has changed their entire look to be more like my relative. I'm talking hairstyle, make-up, the way they tilt their head when posing for pictures ... as in the movie: "Single White Female". If you could see the way they have morphed into the likeness of my relative over the past 6 months on Facebook, you would understand my concern. I know this person had so much access to my relative, they probably have hair or other things. I was wondering if there is anything I can do on a spiritual level to break this connection. I feel like the ex best friend is somehow tapping into and draining off my relative's "vibe", and using it themselves. As my relative declines, this ex best friend seems to thrive, but with my relative's qualities. It really does remind me of that scary movie. How can this be stopped? This will require some thought. You might want to schedule a coaching/brainstorming session with a reputable rootworker. Just off the top of my head, though, your relative might be able to adapt the famous Cut and Clear Spell. Yes, its standard use is to fall out of love with someone -- but it's all about BREAKING LINKS. Then you might follow up with Uncrossing work, because this does involve a jinx. After that, perhaps, a course of Reversing, I Can You Can't, or Double Cross. Your relative will have to be vigilant about protection, too, after this. Last edited by MissMichaele on Thu Jun 27, 2013 10:06 am, edited 1 time in total. Thank you Miss Michaele! This sounds like a great plan to me. I will read all the links and get started. I am asking help on how to keep neighborhood Adult kids who have nothing better to do, than harass me and my husband almost every day, by sitting on my car and hanging on my front yard fence. We also get verbally bullied by these "thugs". The police have been made aware. Is there something else that I can Do ? Boldo is also sprinkled on the ground to keep bad people away. Stop Gossip also keeps things quiet. Please do not double post. I am deleting your other post. MoonBreath wrote: I have heard it is possible to steal someone's energy and their luck. Based on that, I need advice on a situation I've noticed developing over the past few months. It involves an ex best friend who turned on a relative of mine. Then they managed to poison the entire group of friends against my relative - who was devastated by the betrayal. Even though they are now hundreds of miles apart, my relative has had increasing bad luck socially, while the ex friend has become increasing popular. (When they were friends my relative was quite popular and this person was the awkward one ). Here is the creepy part, the ex best friend has changed their entire look to be more like my relative. I'm talking hairstyle, make-up, the way they tilt their head when posing for pictures ... as in the movie: "Single White Female". I got chilled to the bone reading this. I am horribly curious as to how this turns out because I have had a problem like this, right down to the film reference, and still am, but for a little bit longer than six months. If I didn't know better I would have thought you were talking about me! Please update when you can, MoonBreath? Thank you, Saint Anthony, for your help in finding what was lost! I would add some stop gossip. In this day and age, just because someone is hundreds of miles away doesn't stop them from gossiping and slandering about you. brthrchristopher wrote: I would add some stop gossip. In this day and age, just because someone is hundreds of miles away doesn't stop them from gossiping and slandering about you. I agree. I have to remember to buy this for some work of my own. I have been going through the same thing for the majority of 12 years. I have found a lot of things I will need to Reverse a lot of the Crap going on in my life. I suppose it will be costly, but worth it. I am so sorry for both autumngypsy and nowhereinmm. Just wanted both of you to know that you will be in our prayers. I am so sorry to hear this has been happening to you for the past 7 years. My heart goes out to you. Unfortunately there are bullies everywhere. Aura gave you great advice to get a reading. I agree with her totally on this. Since it has been going on so long, you need to get to the root of the issue. Because you say you are doing work but it doesn't seem to be working. I'd be curious to know why. And a Reader/Rootworker can help you with this. Please save your money so you can get one soon. There are readers and rootworkers who are very affordable. Also, I find that Ephesians 6:10-20 is excellent for helping with bullies, jerks, enemies. "Put on the full armor of God so that you can take your stand against the devil's schemes..."
Ephesians also tells you how to put on the full armor of God. You could also work a freezer spell on the main instigator. You need to be wearing a protection amulet at all times. If you have a special necklace, have it blessed by a priest, reverend, preacher, spiritual person. Someone with spiritual or magical power. Please have them bless it for you and wear it. On a practical note, get busy with other things to take your mind off these idiots. Volunteer, do church work, work at a homeless shelter, study up on your rootwork. Go to a spiritual place every day to pray or meditate. If you can't go anywhere, do it online. Or do it at home. I'm so very sorry this is going on. Please get a reading and some coaching on this as soon as you can. There are a number of reader/rootworkers who will take care of this. I have not visited the forum for a while now. I have had a major problem for about 9 years now. I have had a local hate group harassing me. Since my harassment began, they have stalked and harassed me online and off, followed me around town driving recklessly, motioning ne threats from their cars, ridiculing me, insulting me ect. they have also invaded my privacy many of times and have ruined more than one new friendship I have developed. the police won't help me. As u can see there is nothing positive about this all and I want to get rid of them, so I can finally live my life in peace, privacy and happiness for 2014 and on. I also would like to be able to not have my new friendships I create destroyed by this hate group. I am not wishing for a lot, all I am wishing for is my right to privacy and freedom from cruel and unjust treatment just like all other Americans have. I would appreciate what ever advice anyone has to offer me. autumngypsy, you can start with cleansing and protection. Consider Fiery Wall of Protection spiritual supplies for malicious work directed against you and its a powerful shield of protection. 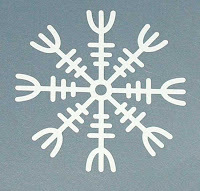 Follow this ritual with Van Van spiritual supplies, it clears away evil, provides magical protection, opens the road to new prospects, and changes bad luck to good. I also recommend that you get a reading from one of the members of AIRR on this situation, since there are several people involved, you may need someone working for you on this one. Is there any Lucky Mojo product that is specifically designed to protect some one from physical attack with a harmful object such as a bullet, machete, knife, acid, etc., especially in times of riot. 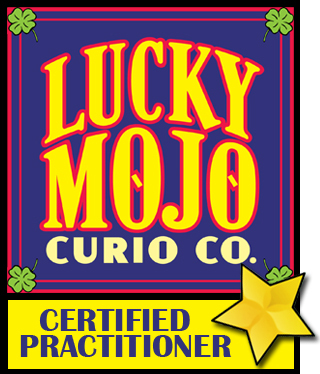 Lucky Mojo does not sell things such as bullet proof paraphernalia. Josieprice, please don't talk about ending your life. Don't let them win. Your child needs you. I am not that experienced, but I think you should start with cleansing and uncrossing - to get any bad stuff off. Then you need to do protection work. Some of the more experienced workers could help you develop a game plan. Best Wishes. Dress up in your nicest clothes and seek a church in a different neighborhood, Josieprice. There pray Psalms 37. If the church feels safe to you, take a tiny handful of dirt and put it in your pocketbook to carry with you. If the church doesn't feel right, move on to another. While you are on this mission, be on the lookout for a woman's shelter. A person at the church may provide assistance in finding one. Do this today. Don't wait until Sunday. We will be here with more advice after. This sounds far fetched but each time its coming up to that time the week before and during that time I seem to attract stalkers crazies and horrible people that force their presence on you Now I thought this was all in my head at first but I put it to the test and I asked a friend to keep check, It was that time just before my time and I was sitting in the car minding my own business and this woman came out of know where and started shouting in my direction I turned to the person with me and said "see" and they believe me straight away. At first I thought I might be exuding hormones even though I'm not behaving any different so went to the doctors and he told me to take vitamin B complex I have been taking these and its been wonderful on feeling at ease but it hasn't stopped psychos and predators being attracted in my direction during this time, So at this point I'm thinking about doing some work that can protect. I pray allot during this time nothing works I'm thinking I need to do some work during the 2 weeks before my cycle for the rest of my time that I'm on earth that is the time I need to do protection work its almost like that's when I need it most I pray to saints I burn incense almost so I nearly choked because of it. I don't know what else to do at this point! I have this thing that I feel nervous and it attracts weirdo's but I want to be able to express my nervousness as it only natural and not be met with wicked scum bags that take delight in my feeling that way for a short time. I don't think its anything to do with being nervous as I don't behave this way because I'm assuming it must be that why else would I attract such nut cases at this time? So at this point I'm thinking of doing some work. I have a black skull reverse candle and lucky mojo protection oil will this combination help? With the partition: Remove all enemies from our lives forever away from me and my loved ones? But I have a similar problem (although not bad people) where strangers stop me everywhere I go and tell me all their problems. I hope this helps....it has helped me tremendously. I need some advice on a situation involving my daughter and the family of her ex fiance. She works at a casino and every Tuesday the mother of her ex, along with his siblings and sometimes other family members, come to gamble. The mother walks around the area that my daughter works in, starting at her. She doesn't approach my daughter, but she had asked other employees about her and sent other family members over to the counter where my daughter is working. Casino security is aware of the situation, but my daughter has no confrontations with her, so they are not asking the woman to leave the premesis. Which works would be the most potent to stop this harassment? I hope this stalking stops. That is always a scary situation. Please also contact the police. I don't think that Security alone being "aware of the problem" helps your daughter legally. JenD, if your daughter has EVER had to call the police on her ex-fiance, she may have grounds to get a restraining order on the ex's family. Stalking is illegal. These verses might be more appropriate to Damnation or DUME or some such thing, but you also want these people to GO AWAY. For the right shoe, of course, Psalm 91. I am trying to be very cautious in how to approach my situation on a magical level. There are 5th grade girls on our street who have bullied my 5th grader. I tried talking to mothers of both girls and they manipulate every other child on the street to no end. My daughter is friends with another little girl who lives across the street and whenever the little girl is visiting my daughter they girls will keep sending other kids to knock on the door to get the little girl to come out and play. Her mother is very passive about it, but I am getting really sick of it. I know they are children and know that the home life of these two girls is pretty bad; however my daughter doesn't have to be the subject of their bullying because of it. Late this summer the girls tried to lure my daughter down into some woods a lake and I have no idea what they were going to do to her and my daughter was terrified. It's a hidden area and just the thought of it gives me chills. I don't want to harm them because they are children. I just want them to stay off my property and leave my daughter alone. I have never been around children that make the hair stand up on my arms and neck. I mean there is just something devilish with them and one thing I've been told by many a seasoned Witch: if it feels wrong, then most likely it is...The police is always at one of the girl's house and I found out from my next door neighbor that this particular house has some bad energy attached to it because there have been quite a few tragedies of previous tenants. Also, my finances and everything seemed to be under attack for the past two months until I did a reading questioning if someone was doing something harmful. The card that came up a few months ago came up again. It was the "Witch Bottle" card warning me to create one for protection; which I did...things made a big change for the better. So, whatever somebody had put out was halted. I kind of feel like one of the mother's of these girls might be practicing some type of harmful magic as one time a kid that lives on my street mowed my lawn and they helped him without my permission. That's when chaotic stuff started happening. I just don't put anything past anybody. I apologize for the long post, but I had to cool my anger and ask for suggestions.